Before you jump on that rock wall, you need to make sure everything is in order. 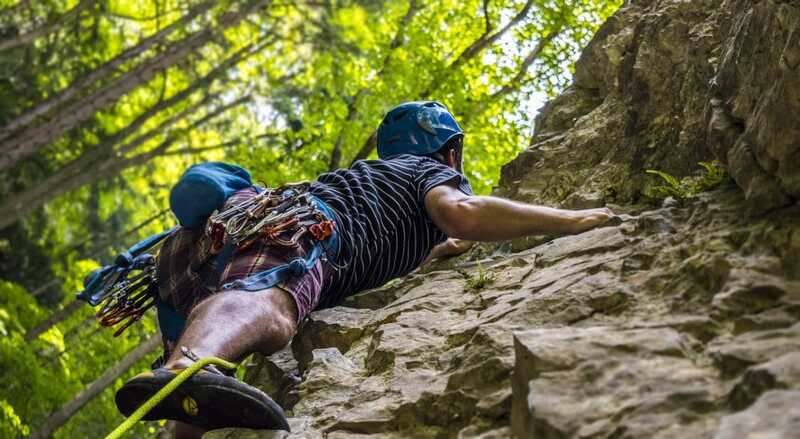 Rock climbing is an incredible outdoor activity that captivates many adventurers. Towering nearly 100 feet about the ground makes for some exciting thrills and spectacular views. If the adrenaline doesn’t enthrall you, then the scenery certainly will. It doesn’t take much to get hooked on this sport, so don’t say we didn’t warn you. Of course, with such a risky activity like rock climbing, there is so much you need to learn about climbing safety before you hit the crag. Out here, a simple slip up can mean the difference between life and death, so naturally you should take this seriously. As you navigate the exhilarating world of rock climbing, take the time to educate yourself on proper climbing safety. 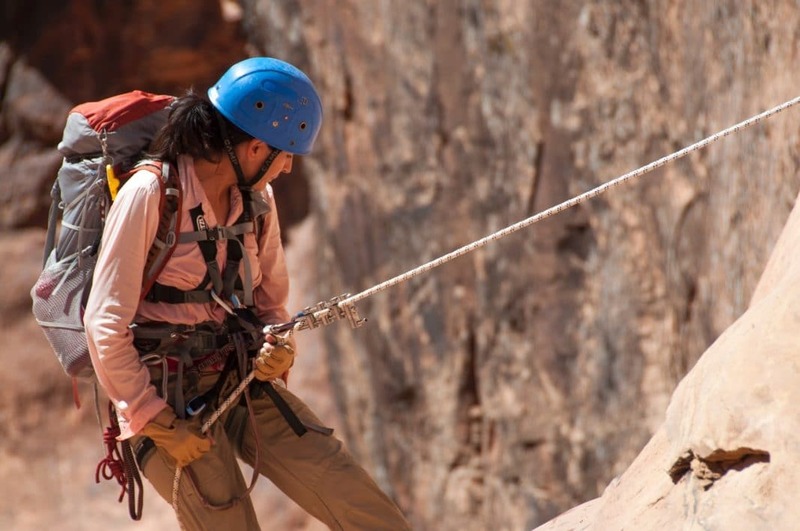 Below, we have our top seven rock climbing safety tips to start you off on the right foot. 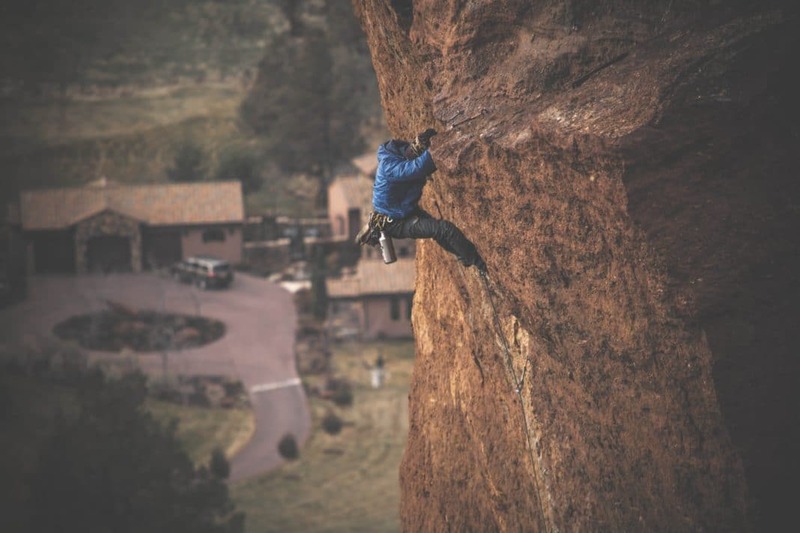 These seven rock climbing safety tips are essential to keep yourself from potential harm. This is something you need to do even before you get to the crag. Rock climbing safety begins with quality gear. You need to check everyone’s harness, helmets, quick draws, and any other gear you plan on bringing. If a piece of equipment looks questionable, then do not use it. Additionally, verify the length of your rope in accordance with the routes you intend to climb. 60 or 70 meter ropes work for most outdoor crags, but double check the height of your routes and length of your own rope, just to be certain. 2. Make sure everyone knows how to belay properly. Before you can trust your friend to give you a belay as you climb, you need to make sure everybody knows how to do so correctly. Belaying is serious business, as you are literally entrusting your life into someone else’s hands. If you have any hesitations about how to belay, don’t just watch a video online. You are going to want to make sure you take a belaying class and learn how to do so from a trained professional properly. This is a climbing step that you certainly do not want to overlook. When it comes to your climbing gear, there are a few different types of belay devices. Everybody should have their own personal device that they are completely comfortable using. The ATC device is a standard belay and rappelling tool widely used among climbers. This basic metal contraption completely relies on the belayer’s strength and attention. While most climbers learn to belay with the ATC, many prefer more controlled devices when it comes to belaying. This is a fair consideration, as there are quite a few more risks when everything relies solely on the belayer. If you would rather use an assisted braking device, there are plenty of quality ones to choose from. These tools are typically more complex to operate, so make sure you practice before heading outdoors. 3. Always flake the rock climbing rope before you tie in. Rock climbing ropes are long and full of grime. It might be frustrating to continually pick up your rope and move it to a new route. However, make sure you use extra care in this process. The first thing for rope preservation is to always have a proper tarp laid down for your climbing rope. This helps avoid any unnecessary dirt or mud from messing up your rope. Once you move your rope to a new route, you always need to flake it out before tying in. This simply means that you need to thread the entire rope through your hands and make a new pile. Rope flaking gets rid of any knots that could hinder the belaying and climbing process. 4. Check your knots. Then check them again. As good as your belayer is and as high quality of a rope you have, these count for nothing if you do not tie your knots properly. Knowing how to tie a rock climbing knot is an absolute must and can even mean the difference between life and death. Even if you can tie a rock climbing knot with your eyes closed, you need to keep careful attention each time you tie in. Your climbing safety rests in your own hands at this point. Don’t get distracted by looking at the route or talking to fellow climbers as you are tying your knot. Get in the zone and focus until you ensure you are safely attached. Always, always, always have someone else check your knot too, for good measure. 5. Always double check your harness. Just as important as your knot tying abilities is the quality of your rock climbing harness. Make sure you tighten your harness belts securely so you are not slipping around inside. Adjust the leg straps accordingly and check to see if your harness strap is doubled back. Before you head out to climb for the first time, you need to make sure you find the right harness for your climbing needs. Petzl and Black Diamond are the top ranking rock climbing harness brands among most climbers. Rock climbing harnesses are obviously essential to climbing safety, so be extra careful to get the right size. Ordering a harness online is a gamble, as you do not get the chance to try it on first. At the very least, go to your local sporting goods store and try on some of the harnesses available there. This will help you to get acclimated with what to expect from the various brands. 6. Keep your eyes on your climber. If you are belaying someone, that is your first priority. It is too easy to get caught up talking to other climbers while doing this. An unsafe belayer is someone who continually looks all around them and does not hold on to their rope securely. Many climbers even sit on the ground while belaying someone. These practices are very unsafe and should never become habits. While it is an uncomfortable thought, imagine what could happen if you were careless while belaying a person. One slip up could result in serious injury, or even death. Of course, you never want to find yourself in such a circumstance, so be proactive. Keep your eyes on the climber and your hands secure on the rope. Besides your climbing rope, communication is an absolutely critical lifeline when it comes to rock climbing safety. When you are on the rock wall, you often need to convey vital information to your belayer within seconds. Make sure you and your belayer are both familiar with the right commands before you begin climbing, so there is no confusion. It is also helpful to climb in a relatively noise free location. Of course, this is not always possible. I have personally climbed at crags next to a highway, which resulted in a lot of traffic noise. The extra sounds made for a very difficult and unsafe belaying situation. One piece of advice I would offer with this is to never assume what the climber or belayer is saying. Even if you have to make the person repeat themselves seven times, this is better than making a rash decision and causing a fall. 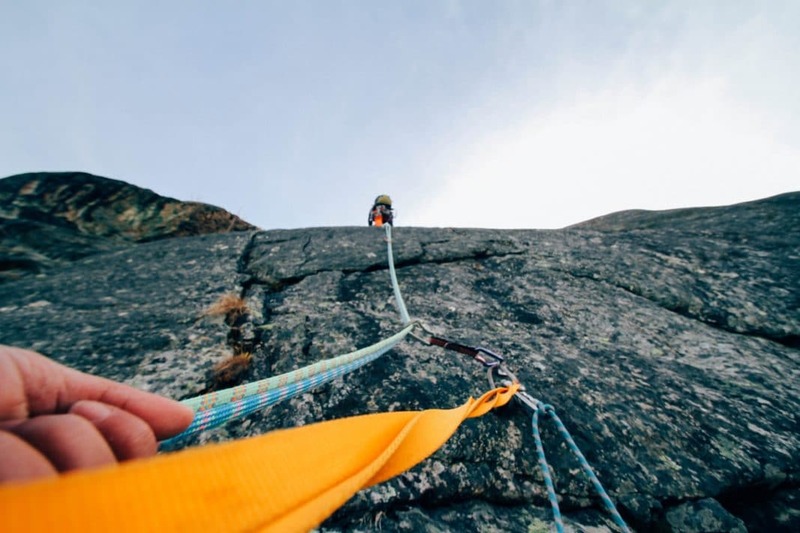 With these seven climbing safety tips, you will set yourself up for success. This important rock climbing safety advice is quite essential to starting your climbing career right. Always be extra careful as you expand your rock climbing abilities, and ask questions. If you are uncertain about anything, even about the color of your rock climbing shoes, don’t hesitate to ask. The right climbing partners are those who will push you, and also ensure that you are properly educated. Rock climbing is a truly breathtaking experience, and once you get outdoors, there is no going back. Now that you know the proper climbing safety precautions, you can have fun while keeping yourself and your fellow climbers protected.